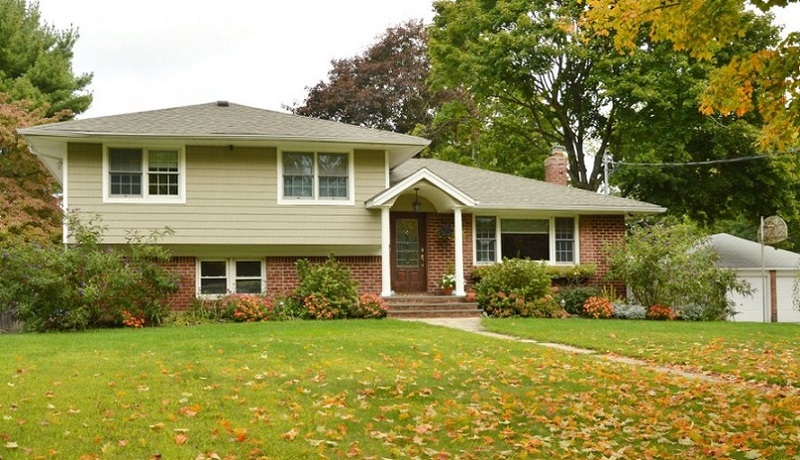 How do you improve your home’s curb appeal and what exactly is it? Basically, it is the impression that someone is getting from walking on the street, which includes removing the possible clutter on your lawn. The curb appeal is the absolute first impression that a home buyer will be getting of your property, so why not make it a good one? 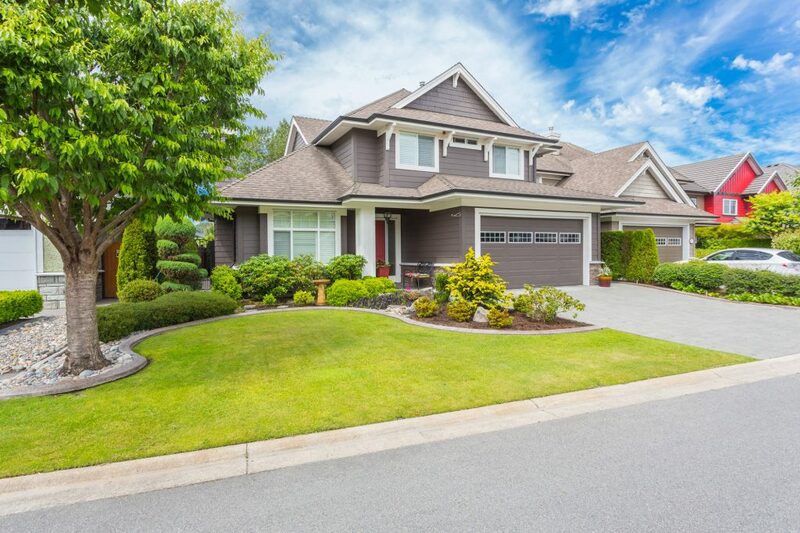 By making sure that your home has good curb appeal, you will actually be making sure that they in fact want to come inside and fall in love with the rest of the home. 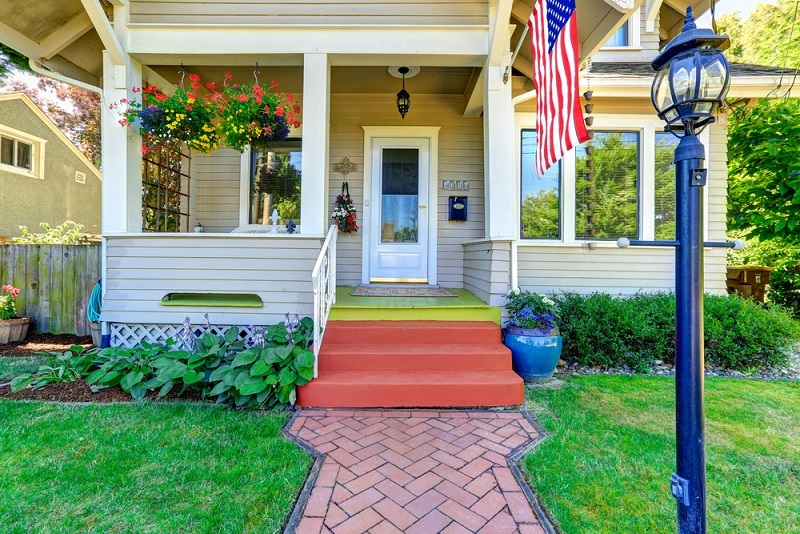 While you can remodel the inside and do all sorts of other things, curb appeal has to do with the outside. A good real estate agent will make sure to emphasize its importance when you’re trying to sell your home. 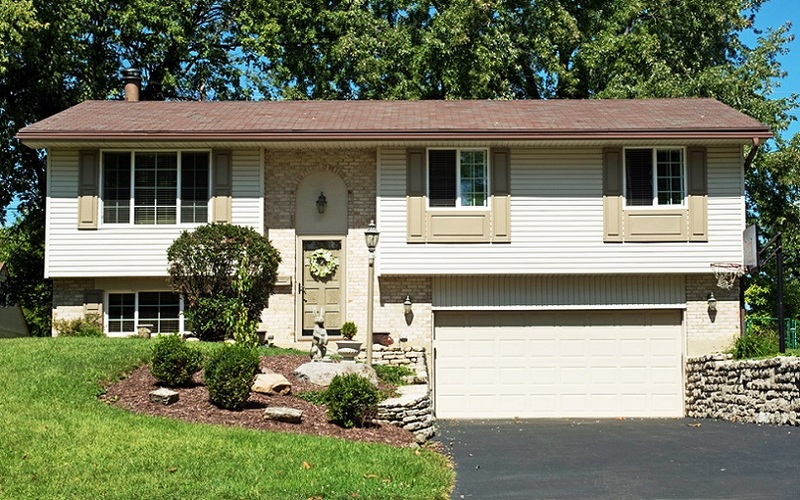 A lack of curb appeal is one of the things that might simply mean that the sale you were hoping for doesn’t end up going through simply because the buyer cannot get over how the house looks from the outside. 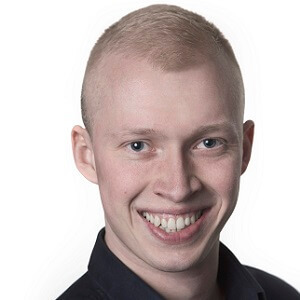 It’s generally very hard to overcome a bad first impression. 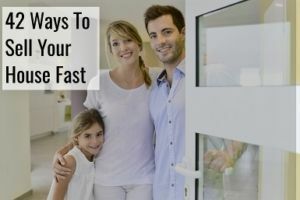 That’s why we have have written this article that will help you make sure that your house has awesome curb appeal with a bunch of tips for you to include. Buyers often assume that the interior of a house seems like the exterior, and they will therefore not want to visit a home that looks scary from the outside. 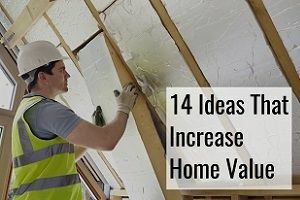 A lot of the ideas below are relatively cheap to implement but will end up making a significant change in the way your home feels from the outside. The things you can do to improve curb appeal ranges from very simple to very complicated, so if you simply want to do a little, while it will still have a major impact, that is definitely a possibility. No matter which article you will read, they will likely encourage you to paint your home since it can make a tremendous change. A fresh coat of paint will really go a long way and it doesn’t need to be expensive to have done. Hiring house painters is the surest way to go, although you can also try to do it yourself. You’re probably looking at paying between $1,000 to $3,500 when you’re wanting to have an average size home painted. The more difficult the job, the more you will be charged for it. If you have wood siding installed on your home, either painting or staining it is also an important measure to make sure that the material’s life span isn’t seriously reduced. Improperly maintained wood siding tends to deteriorate a lot faster than it should. How daring you want to be when you paint your home is completely up to you. Using bright colors may make your home more inviting. 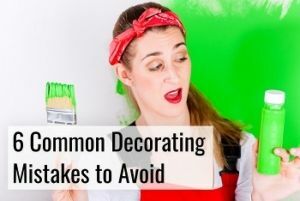 If you choose to paint your home bright colors, it is generally more inviting, although it also makes sense to choose a color with broader appeal if you’re going to be selling the home anytime soon. You can even simply choose to paint doors or part of the home if you’re not looking to spend too much but still want to give it a new feel. Think of clever ways to make contrasting colors work with your home. Check the condition of your porch. 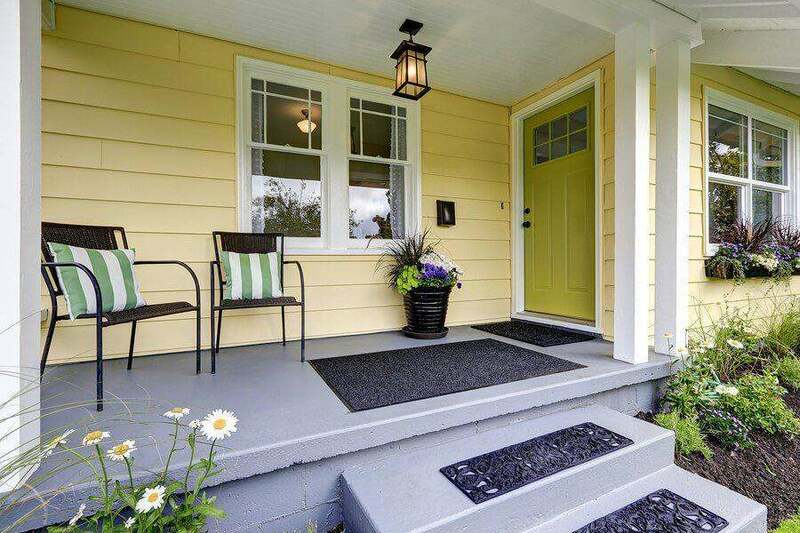 The porch is sometimes one of the things that ends up getting less attention because people tend to spend more time on the patio, but it’s still one of the first things that a potential homeowner will see. Improving the way it looks does not have the be expensive either, which can be done by as little as adding the right furniture to it. 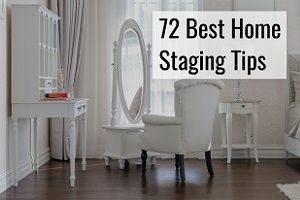 If you’re willing to spend a bit more, you can consider turning it into a wraparound porch instead, which will definitely help your home be more unique. Some people even choose to add sheer curtains, although you will need to make sure that it is made of a material that can stand being outside without deteriorating extremely fast. You can add a little table too, which will make it more functional or a bookcase, which will make it a great place to sit and read a book, even when it rains as you’ll be covered by the roof. If you don’t have a porch already, it’s a great opportunity to go out and have one built. They’re very functional and will surely make your home have more curb appeal. Install new siding or repair existing one. Sometimes all it takes is for you to clean the siding and it will change a lot in terms of curb appeal, but you may also want to repair or replace the broken parts. Due maintenance also ensures that it in fact lasts longer. If you think your exterior is lacking some green, it can be changed by simply adding window boxes, and they can be nicely paired with shutter either to blend with them or contrast. Here are some recommendations on what to plant in window boxes. Getting beautiful window boxes is a great way to add a little extra to those windows you had installed. Among common decorative fences you will find the picket fence. It’s very charming a great addition to increase curb appeal. It may not be the one providing the most privacy but since you’re going for more curb appeal, that’s probably not what you’re looking for. Go back to the basics and add a white picket fence. It’s charming and at the same time functional. You can’t beat that combination of benefits. If your roof is very old, it could be time that you consider replacing it. Decade old roofing may need to be replaced before a roof leak appears. 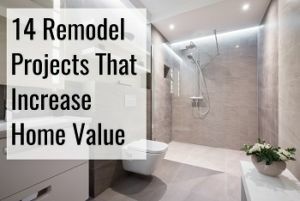 There comes a time when it can no longer suffice to simply repair it and a full replacement will simply be a better option, which will also improve your home’s aesthetic. Symmetry is in and always well be, but you also need to make sure that your decisions balance everything. This does not even need that you decide to massively remodel as it can be as simple as adding furniture, pots or other things. Want to hang a flag? A lot of people will choose to hang the flag, and it can be charming too if done tastefully. If you have a old home, do something to restore its former glory. You can make use of reclaimed material or wood to keep the same style and ensure a consistent look. By familiarizing yourself with the story of where the materials come from, you’ll also have a story to tell. You can’t neglect the landscaping obligations of your house as they play a great role when it comes to curb appeal. That means you’ll have to mow your lawn, maybe install a lawn sprinkler system and make sure all the plants are well-kept. It’s also a great opportunity to bond with your kids and install edible bushes of blueberries or other things, even if you want to make sure your kids are old enough that they shouldn’t just eat anything from the garden. While a porch is great, you don’t need it to make a seating area. All it takes is for you to find a couple of adorable chairs and a small table and designate an area of your lawn for them. You may want to consider putting them in a place that has a bit more shade. Pergolas are great ways to create seating arrangements for you to take advantage of, and they can either be custom made or come in many different varieties too. If you create appealing looking hardscaping that leads to the front door, this is definitely something that a lot of people will notice and find enticing. A pathway is a great way to give your guests a nicer way to get from the street to your door. You can use different materials including brick to make it as appealing as possible. Consider replacing your front door with something else. 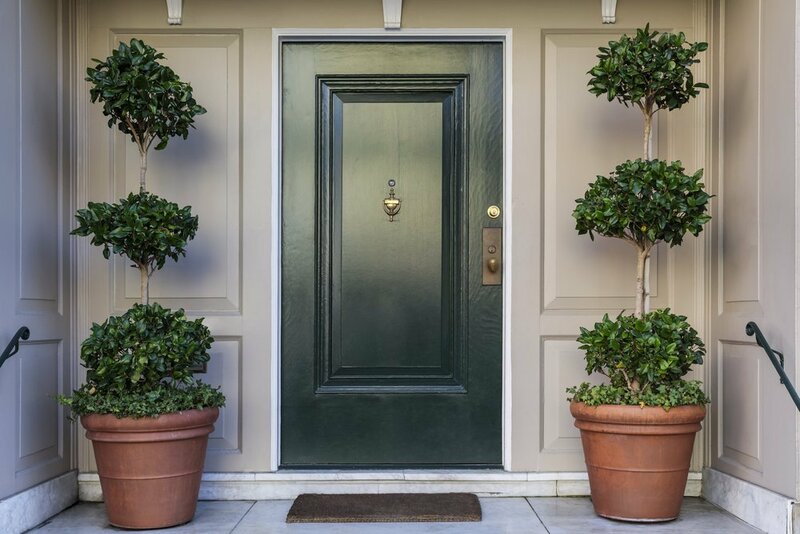 Take a look at your front door and determine if it has both good curb appeal and if it is what you want to have represent your home. A common go-to material for homes that want to look inviting is solid wood. The budget version of making your door more appealing is simply to give it a fresh layer of paint. Make sure that windows are replaced as needed. Windows are both there for security, but also to look good and provide insulation. Beautiful windows also ensure a lot of curb appeal for your home and the savings you might experience with a lower energy bill from upgraded windows could also help make it worth it. There are different renovation projects you can undertake where simply repainting or repairing is not enough. 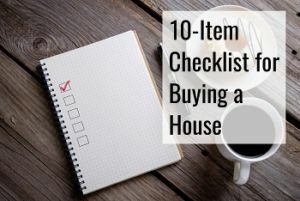 They include everything from adding a porch or patio to replacing your roof. While it’s a small thing, you can replace your mailbox with something that makes more of a statement. 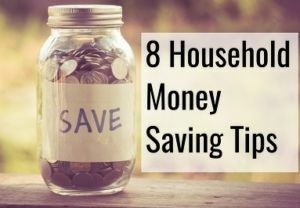 We’re aware that some of the previous suggestions are more expensive than others, and if you’re simply looking for cheap ideas, then the following could be the best ones for you to consider. We already talked about how you could add furniture, but you could use a site like 1stdibs in order to find used furniture to put there at very favorable prices. The same way you can paint the door and it will have an impact, you can also paint the shutters, which can even be a DIY job and increase the contrast and make them stand out. If your roof is looking worn, it could be a possibility to repaint it. A roof inspection is, however, always recommended to ensure it is in fact in a good condition. 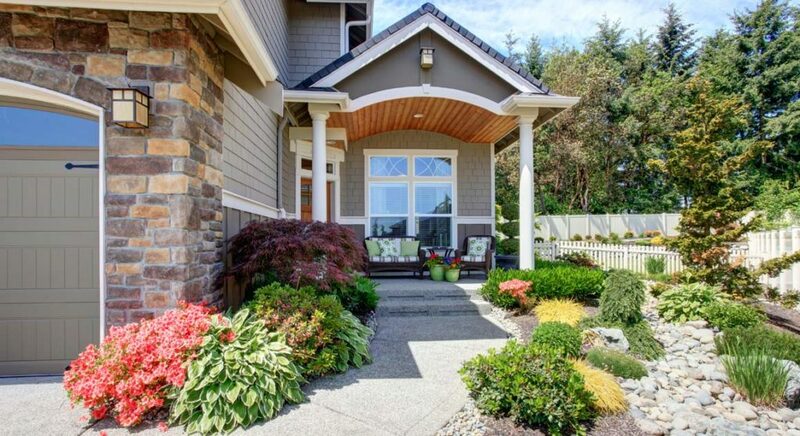 It’s not only your home’s exterior walls that are part of the curb appeal, your landscaping is too. As much as your landscaping can be welcoming, it can also be the reason why others do not want to go to your home. 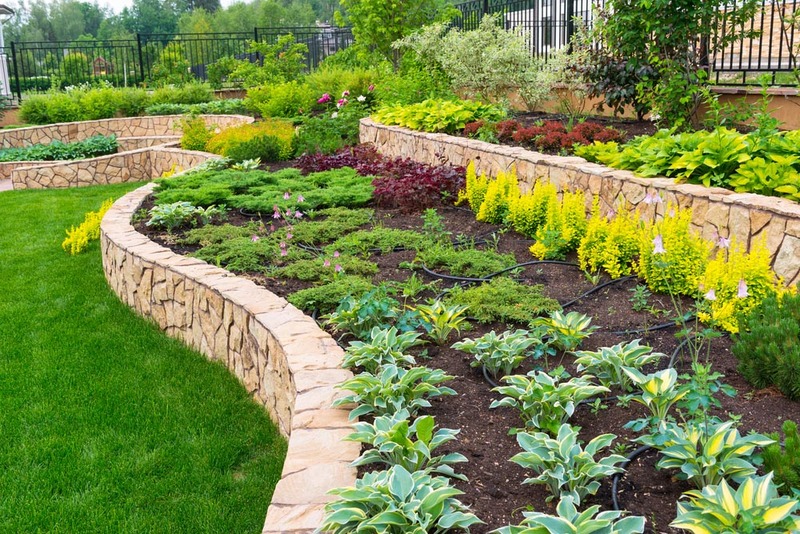 With the help of a good landscaping contractor you can really make your dreams come true. You can also do a lot of these things yourself if you do not wish to have someone else come in and do it. We mentioned the idea of an edible garden, which can include you planting different things such as peppers, herbs, berries, nuts, eggplant, beans, artichoke and more. Several of those are very visually pleasing too. Give serious consideration to your hardscape too and make sure that it complements and brings out the best in your landscaping. The pathways should match the rest of your garden. To create a focal area, you can also plant a tree. 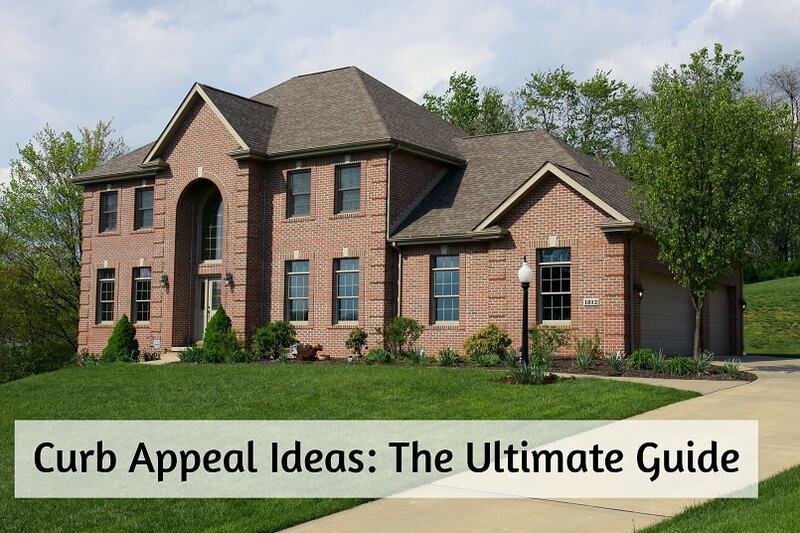 Whether it’s the front yard or backyard that needs curb appeal, the same principles apply. 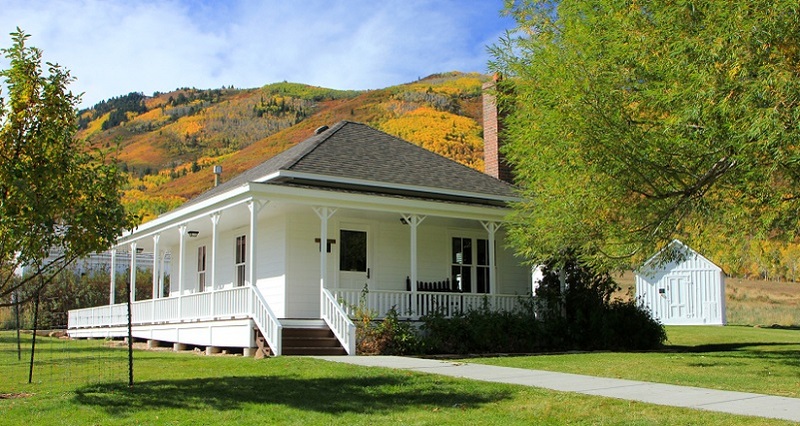 Ranch style houses aren’t as popular as they used to be with their spacious, yet different facade. Placing shrubs and bushes full of color next to the home is a trick often used by homeowners, although you should keep in mind that you don’t want to hide the windows either as this would limit the amount of natural light going in. Again, you could also place something like a tree or another object meant to draw the attention towards it. In order to avoid having people focus on the fact that the curves of the ranch style house may seem unappealing due to their harshness, curves are sometimes added in the landscaping in the form of angles with plants or pathways that break the straight lines. While replacing the door to your home is one option, there are others too. As you see above, symmetry has been used as well with the two plants, although they also add color that complements the color of the door. Don’t be afraid to paint your door in a slightly daring color. If you don’t feel like painting it, at least help it shine by properly cleaning it and making the different fixtures shine. Make sure there are no stains or spots, and take good care of the railing too if there is any. All fixtures should be polished so that they look like new. You can also add a wreath on the door that matches the feeling you’re trying to give your guests. If there is any hardware that is looking outdated, consider replacing it. It’s a small detail with a large impact. This includes house numbers, locksets and more. You can also use accent to create some contrast and even contrast combined with symmetry. Sidelights on both sides of the door will look great and make sure there is enough outdoor lighting. 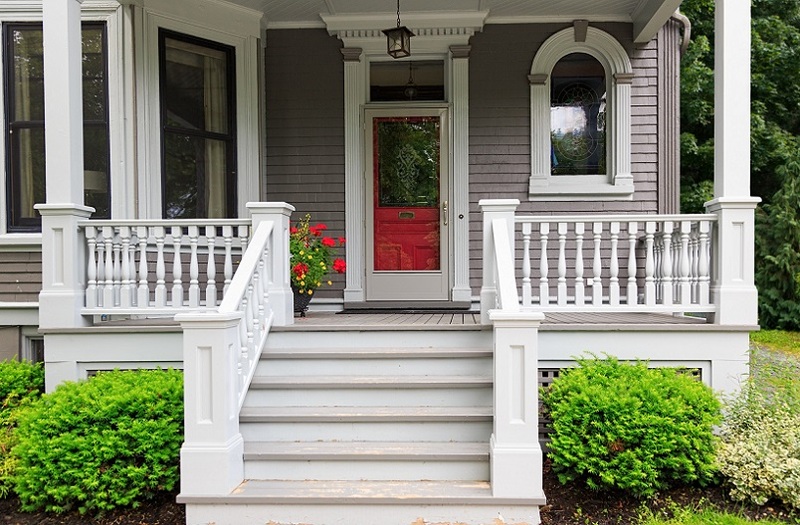 More specific to the front porch, here’s what you can do to it so that helps improve your home’s curve appeal. First of all, make sure it has a nice pathway leading up to it from the street and fix any potential issues with your current one. Consider adding potted plants along the pathway too, or use shrubs to direct guests towards the patio. Adding plants is a great addition, and you can even find beautiful ones with nice smell too. When you’re making changes to your porch, it’s always a good idea to consider what exactly it is you wish to use it for so as to best match your desired changes with the desired functionality. If you think it’s time to change things and you may be thinking that you’re finding your current curb appeal of your farm house a bit boring, there are some thing you can do to spice it up. For instance, try experimenting with darker colors, which will add more of a dramatic feel, and make it stand out too. If your farmhouse has a barn door, the same principles go with this as with any other type of door, meaning it can be polished, cleaned and painted. Besides that, all the same things apply, meaning you can replace the roof, add a wreath or do other things too. If you live in a cottage-style home you probably chose it for its relax and welcoming vibe. There are however things you can do to further this feeling even more. Instead of adding traditional furniture to the porch, try going with a rocking chair. It’s a nice alternative and kids will have a great time using it. You can even choose a porch swing instead. Either will look beautiful in front of your home. Consider adding railing for a bit of contrast. It should complement your home though. Adding plants will also help make it more cozy and increase the curb appeal. 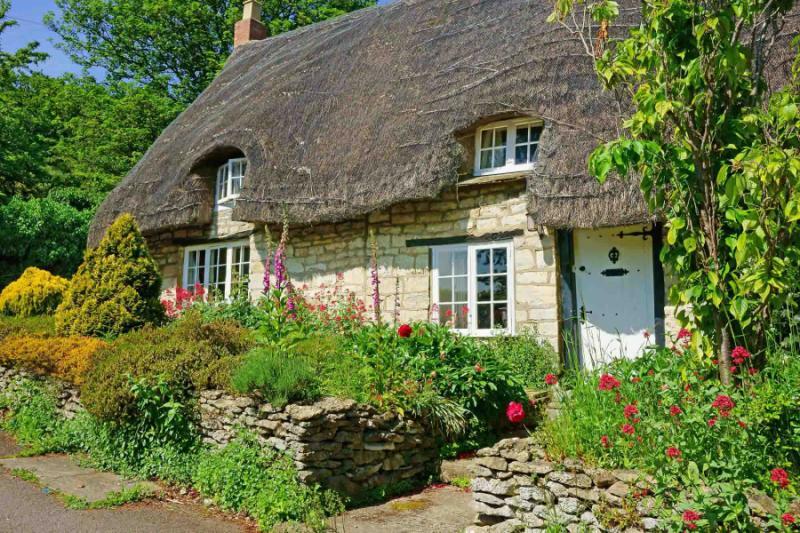 With cottage-style houses, it’s very popular to plant mixed flowers instead of grass, which may seem oddly chaotic yet appealing and matches very well with the appeal of the home. It makes it a little more casual the atmosphere. There’s something idyllic about cottage homes, and an arbor is a long lost beauty that only few homes choose to install in today’s world. The cottage-style house is not very traditional in its feel, and you can use alternative planters as pots, just make sure that you cut a hole to allow proper drainage. You want to include things that look authentic to the cottage, meaning things that don’t seem too polished. While others try to remove rust from objects, it can go very well with the remaining style of the cottage. Some things could be a pitchfork or a galvanized steel can, which are things you would traditionally find with that type of house. When choosing the flowers for your garden, strong colored ones are very popular, which includes things such as roses, peonies and others. Make sure they’re planted so they complement the overall style, avoiding that extremely polished look. If you want them to provide a wonderful smell too, there’s a list here you might want to take a look at. If you didn’t choose to add a rocking chair, you should consider going with repurposed furniture. An excellent table to sit around would be a door that is hung from a tree, assuming you are able to make it sufficiently stable to eat from. When you think of furniture to go with, a lot of people love wooden ones for this type of home. The appeal of a brick home is slightly different from that of a cottage-styled one, although they’re both beautiful constructions. Over time, there are however things that you can do. While bricks are very beautiful, they will also get dirty over time and need to get cleaned. Here’s a guide on how you power wash a brick home to restore its original glory and colors. In the picture above you also see how the homeowners chose to add 2 rocking chairs on the porch, nicely put in the shade where two people can sit and talk together. Adding two sidelights is also a great way to show off the amazing texture and feel of the brick walls, and while you’re at it, take the time to clean or paint the shutters too. When you add plants to your brick home property, you can do it with ones that complement the pinkish exterior that brick has. Some flowers go better with brick than others do, and some of the ones that look the best include pink begonias. Another plant that will combine the pink of the brick with the other green elements in your garden. All your other choices in your garden can also be influenced by the colors of the brick to make everything match. 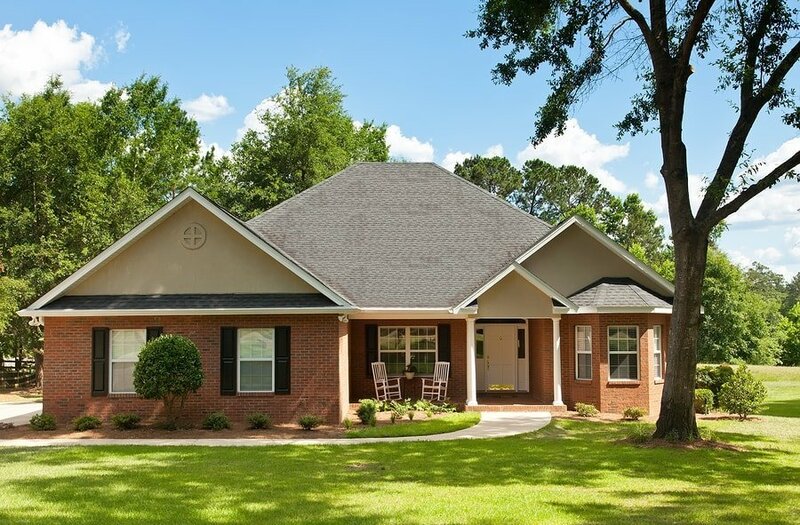 When you feel like something slightly bigger needs to happen, one option is to paint the brick in a different color and white is a popular color chosen by homeowners, although grey is also a color used by some. If you want to add a bit of spice to a flat front house there are some things you can do. The addition of a porch, if there isn’t one already, is one that can help break the flat facade and make it a bit more exciting. Your personal preferences should naturally be used in its design. Window boxes or shutters is another great way that you can add a little bit of change to a facade with otherwise limited appeal. Giving them powerful colors will help them stand out. Again, in order to break the home’s traditional curves, consider adding curves through the hardscape and other landscaping activities. You draw a lot of attention by adding color strategically. 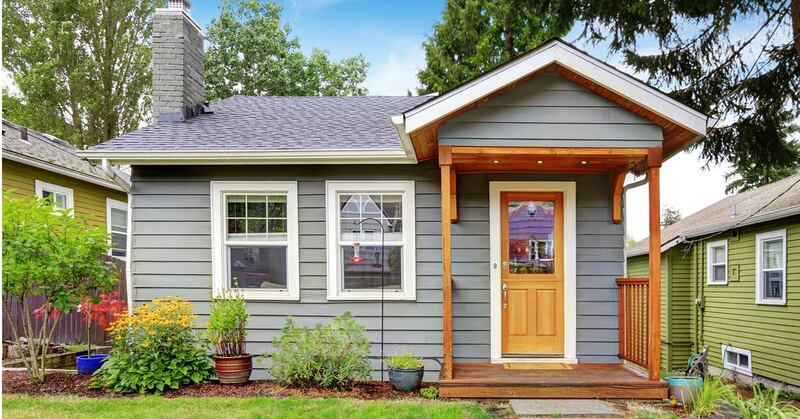 The front door is a great place to start, or you can completely replace it if you have the budget. Another popular and simple way to add depth to this style of home is with the use of awnings. They’re not expensive like traditional home additions would be but can be effective in adding color and depth. Work on the roof too and make sure it does its best at making your home beautiful from the outside. You can replace a flat roof with something that has a bit more character to it. Split level homes don’t have the same popularity that they used to, although it doesn’t necessarily mean that you should just write it off. There are things you can still do to make them appealing. Since the door is a very major focal point with these, consider replacing it with something that has more character or at least painting it. You also want to try to make your facade look more modern to give it a broader appeal when you’re trying to sell your house. 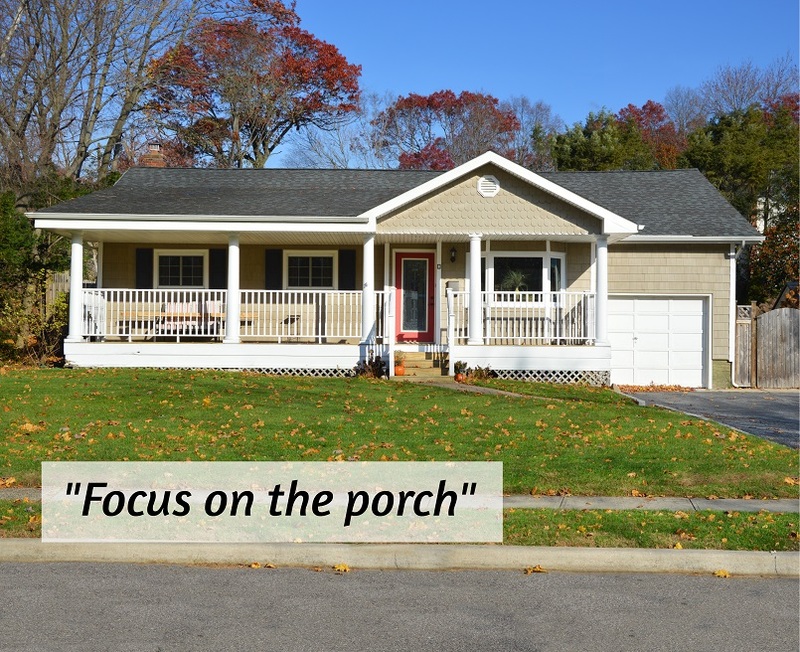 To spice things up, consider adding a portico to the home. It will also help you when you’re running from your car to the entrance and need to unlock the door and it’s raining outside. There are also a number of small decorative elements that you can change including the house number and mailbox. Replacing each of them will all help your property seem more modern. We hope that these many curb appeal tips have helped give you a better understanding of some of the different elements you might want to work on with your home.